Click here to get unbeatable price for this hotel. 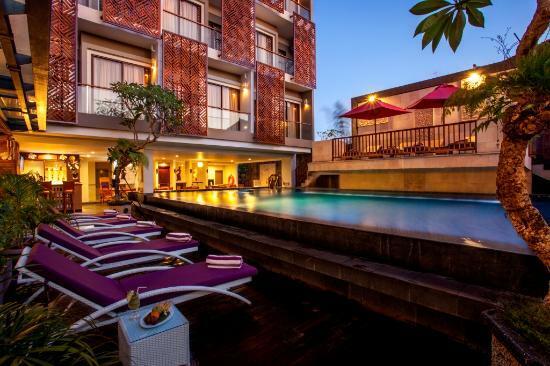 ​The contemporary hotel in Seminyak Bali with 154 rooms in the most happening area of Seminyak, is set to cater leisure and business travelers. 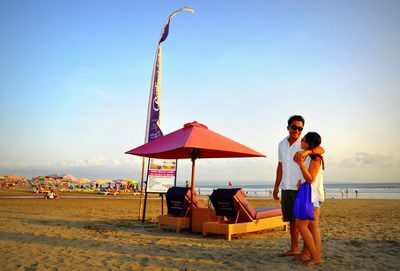 It is just 5 minutes’ walking to our free beach club on the famous Double Six beach with magical sunsets. Soak up the rays during the day on the rooftop sun decks, a perfect viewing platform for those Seminyak sunsets. 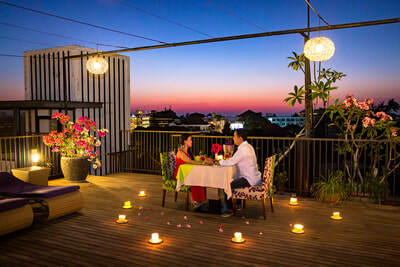 Within few steps, there are eating options from open air cafes to fine dining as well as famous boutiques, souvenir shops, and bargain centers. 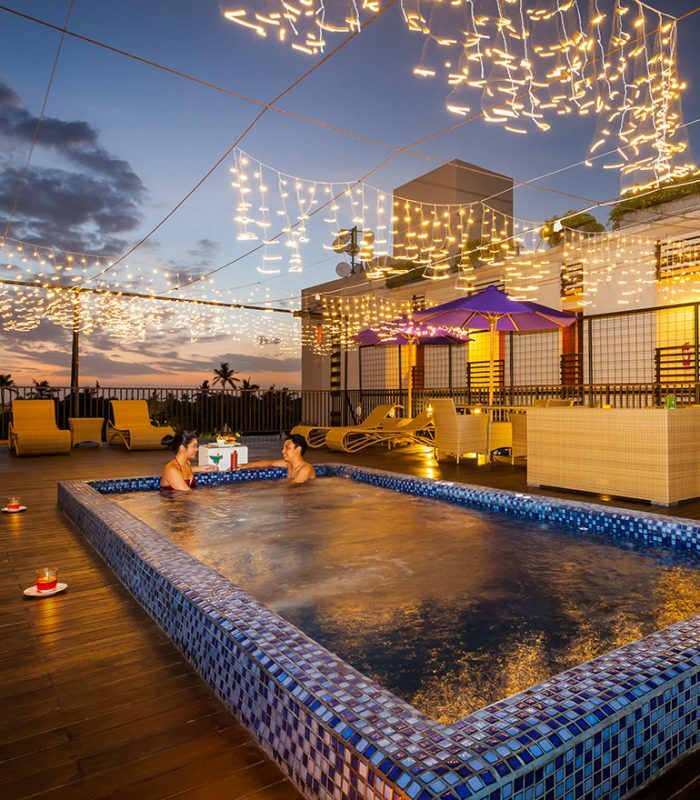 In the evenings, some of Bali’s best bars and clubs are a stone’s throw away. Deluxe Room is tastefully decorated to reflect the Horison Best Hotel in Seminyak ambiance and comfort. 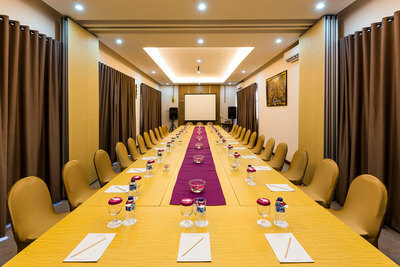 Each room consists of two single beds or one king bed, and a standing balcony. Deluxe Executive is tastefully decorated to reflect the Horison Best Hotel in Seminyak ambience and comfort. 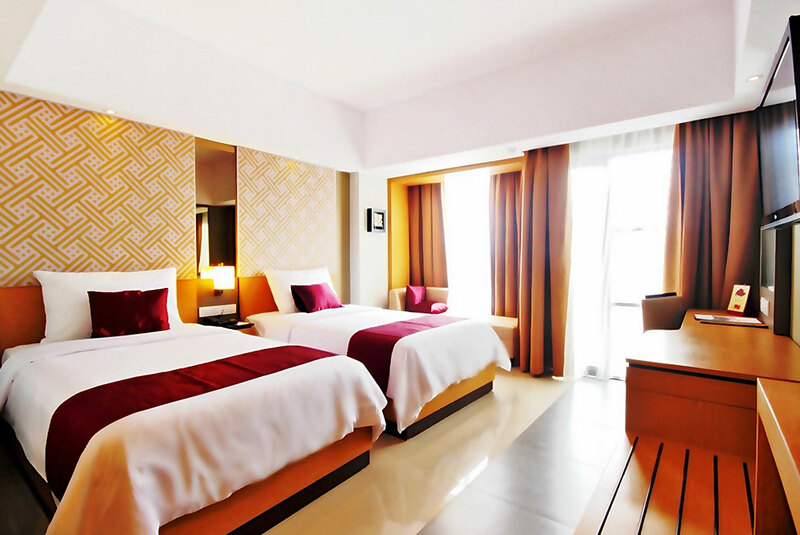 Each room consists of two single beds or one king bed, and a standing balcony with city view. Get complimentary of daily 2 pcs laundry (non-accumulative) and daily 2 cans of soft drink (non-accumulative) for minimum stay of 2 nights. Deluxe Pool View Room is tastefully decorated to reflect the Horison ambience and comfort. 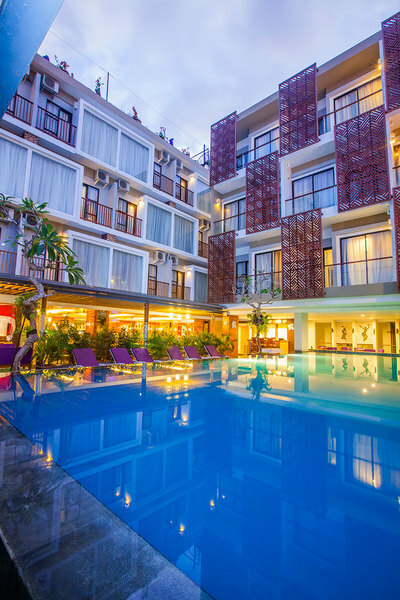 Each room consists of two single beds or one king bed, and a standing balcony with the pool view from your bedroom. Get complimentary of daily 2 pcs laundry (non-accumulative) and daily 2 cans of soft drink (non-accumulative) for minimum stay of 2 nights. 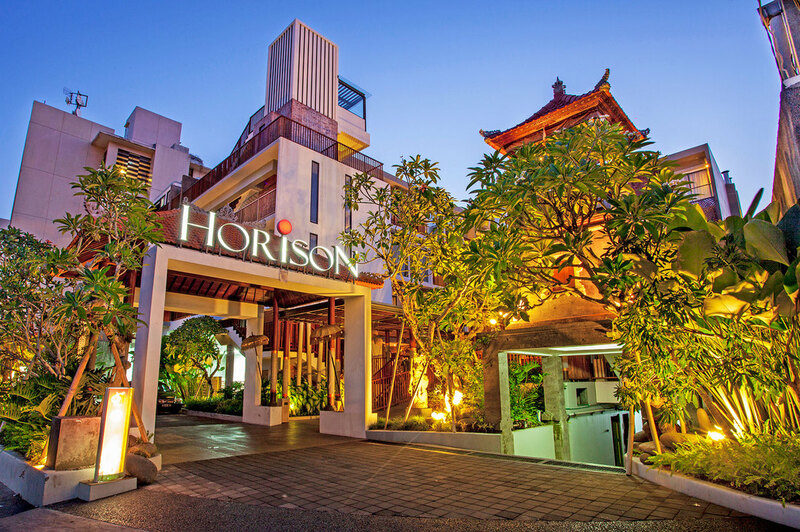 The Horison Suite is a perfect choice for the modern individual who seeks a high quality lifestyle, either for leisure or business. A spacious lounge area with stylish living room form the elegant interior. Our suites have been designed with relaxation as the top priority, and a quality bed guarantees a comfortable relaxing night’s sleep. 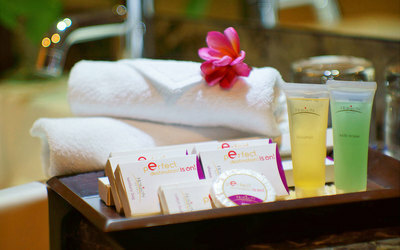 Get complimentary of daily 2 pcs laundry (non-accumulative) and daily 2 cans of soft drink (non-accumulative) for minimum stay of 2 nights. 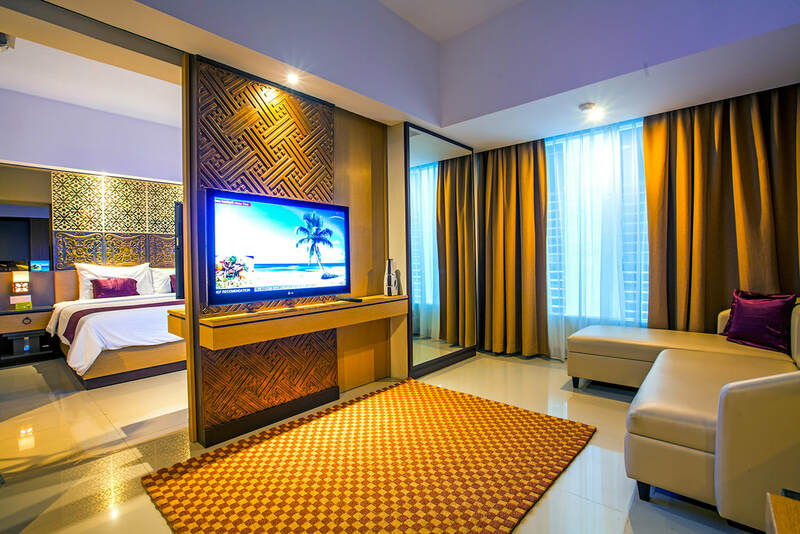 Our Family Suites are specially designed to cater to the holiday needs of parents traveling with their children. 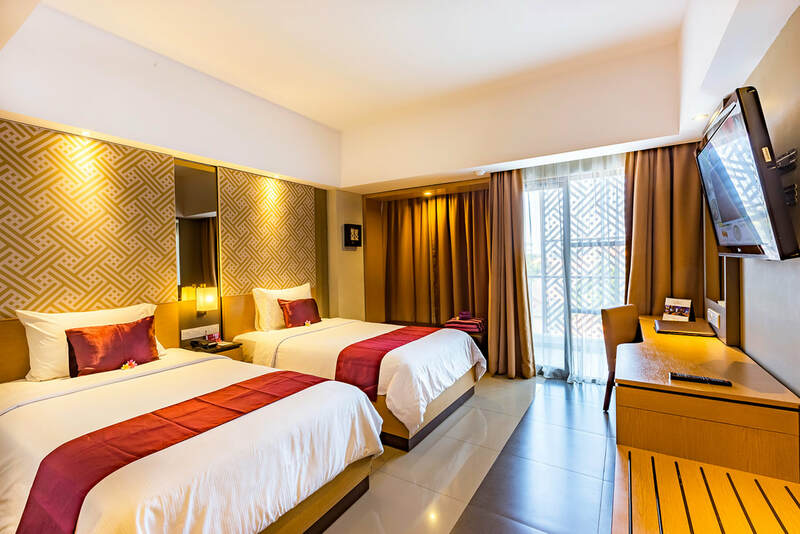 The suites consist of a master bedroom with one king bed for parents and a deluxe room with two single beds for children, each equipped with flat screen TV and separated by a spacious and elegant living room. 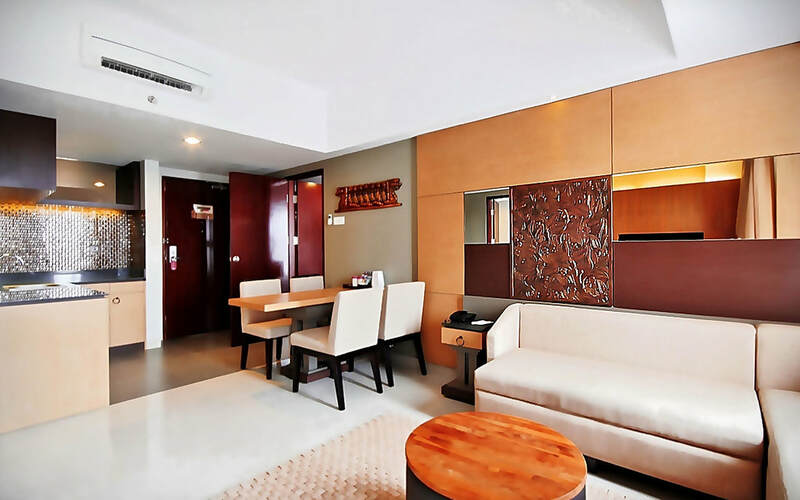 The suites are designed with contemporary facilities for maximum relaxation. The master en-suite bathroom has a bathtub and full wall mirror, and there is a second bathroom for the younger family members. 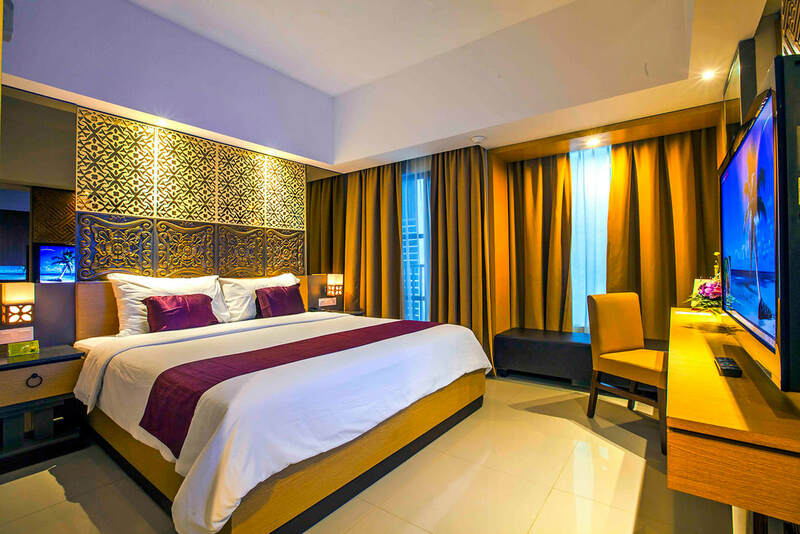 Get complimentary of daily 2 pcs laundry (non-accumulative) and daily 2 cans of soft drink (non-accumulative) for minimum stay of 2 nights. Excite your taste buds with our mouthwatering selection of culinary creations at ManiManika Restaurant. 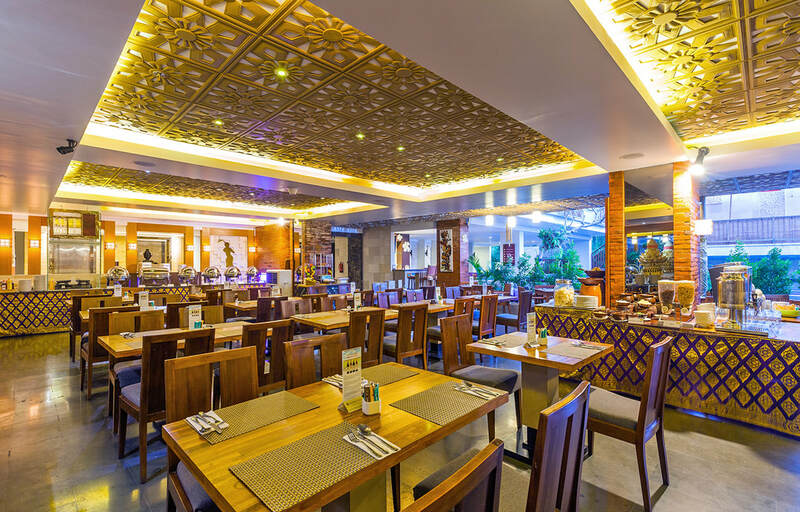 Our talented chefs are specialists in creating fresh and vibrant flavours, inspired by our local herbals and spices with the twist of eclectic palate. 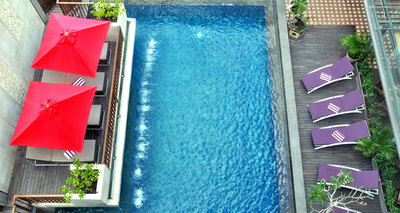 Relax by the pool & enjoy our generous buy 1 get 1 free on selected cocktail during Happy Hours from 1 to 8 pm daily. Wish to explore the beauty of sunset? 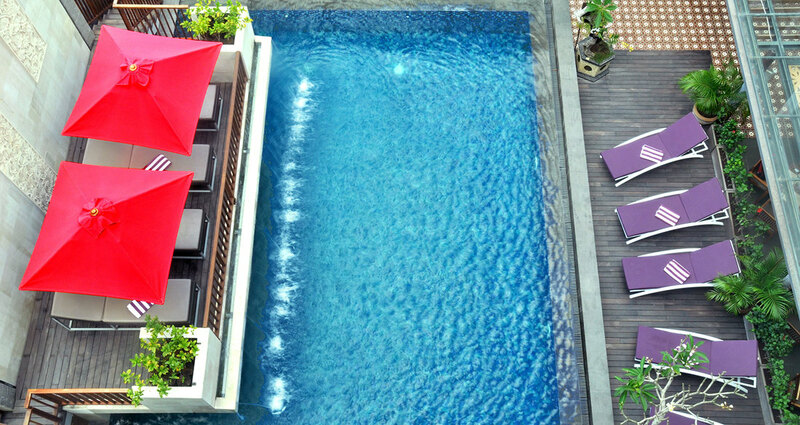 Refresh your day by lounging on our rooftop while enjoying the warmth of Bali’s weather. Soak up the rays during the day in our jacuzzi, a perfect viewing platform while waiting for Seminyak sunsets. 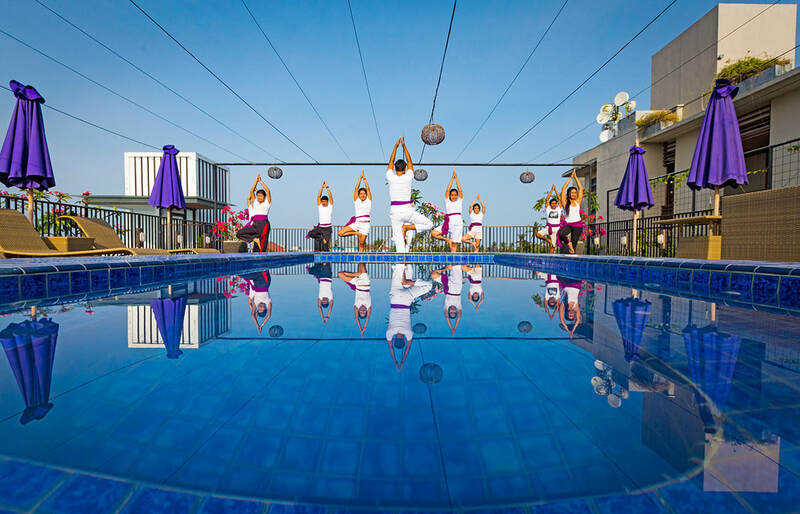 Yoga Class is scheduled on rooftop every Tuesday to Sunday at 7 am. Please reserve one day in advance with minimum requirement of 2 persons. Filled out your days with the sort of activities chosen for your pleasure as scheduled. 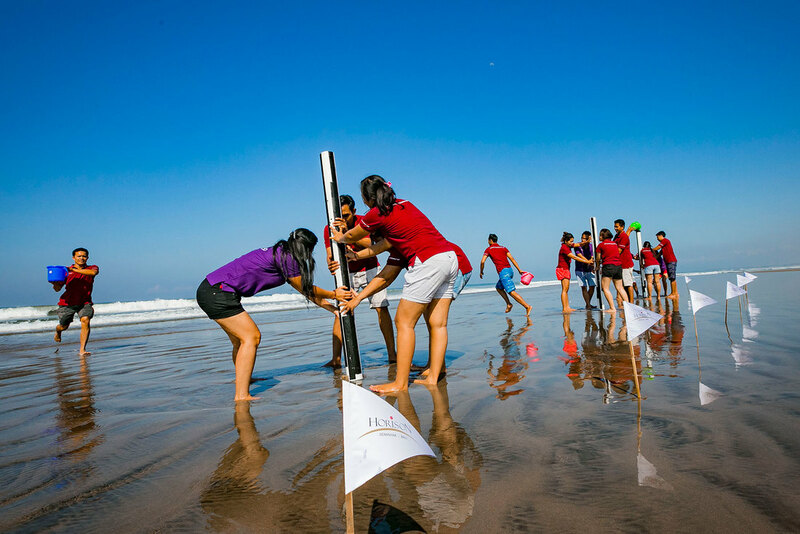 Balinese Dance Lesson, Rindik Lesson, Egg Painting, Canvas Painting, and Beach Activities are scheduled to make you feel a true Balinese Experience holiday with us. Please contact our reception for the activities schedule. 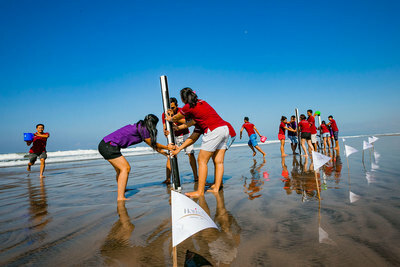 One and only in Bali, Horison Seminyak offers every guest the opportunity to have a complimentary photograph in Balinese costume and a free beautiful souvenir of Balinese indigenous script for a truly unique memory. Please reserve one day in advance and it is subject to availability. Enjoy an intimate dining experience in the comfort of your rooms with a wide selection of menu including entrees, soups, salads, snacks and desserts. Available 24 hours a day.